During the fall, spring and summer months we're your dependable landscapers. When winter hits we put on our jackets, attach the plows to our trucks and prepare to plow snow. Our team is up before you are to make sure your driveway is plowed and salted. 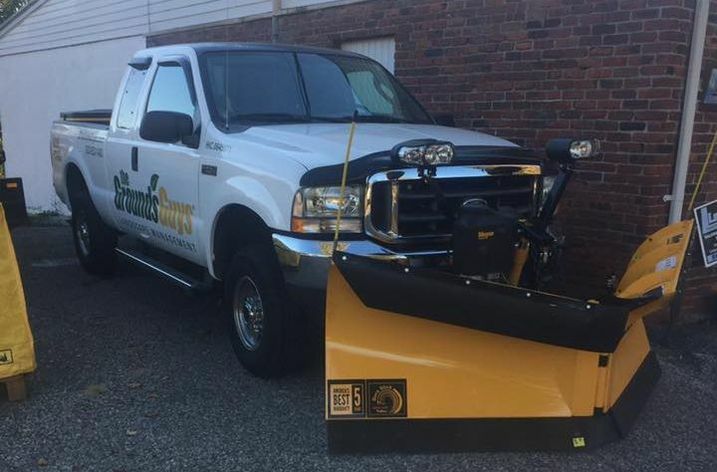 Our snow removal team only takes a limited number of plowing clients to make sure we can handle even the biggest of storms. Snow and Ice Maintenance isn't something you'll ever look forward to handling yourself during those bitter cold winter months. Leave it up to our winter maintenance team to make sure the snow and ice from your driveway is cleared. Not looking forward to those winter months? You're not alone. Many Brookfield Residents dread having to shovel the driveway and salt the walkway repeatedly throughout those colder months. We have plows ready to make that winter chore a thing of the past. Let's face it, you work way too hard to slave over keeping your driveway cleared from snow. Start looking forward to when those snowflakes start falling. Owning a business is hard. Add a foot of snow and 2 inches of ice and owning a business is much harder. 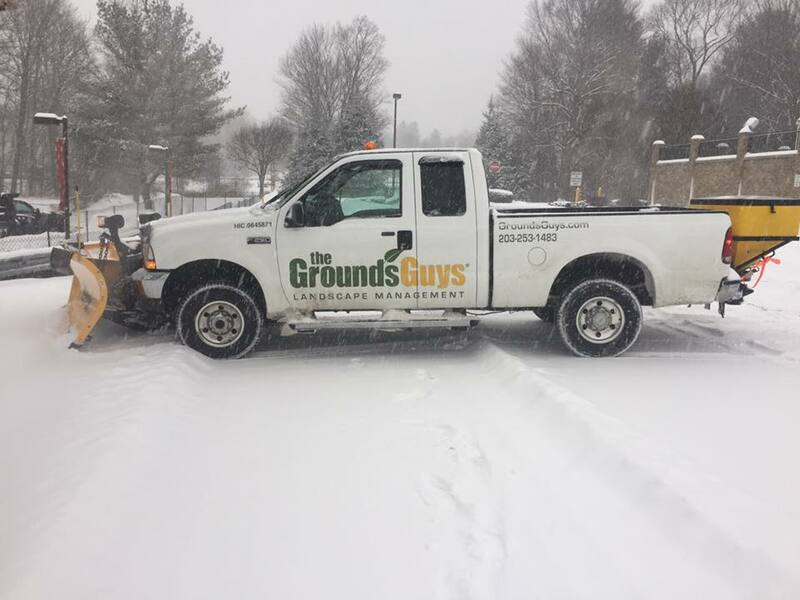 Our team will plow your parking lot, shovel your walkways and salt your frequently traveled areas so you can focus on business during the winter. Our professional staff will make sure your business parking lot is clear of snow, salted and open for business. We pride our team on being dependable no matter the weather conditions. When you need commercial snow removal done right you call us. At home when you think ice you might think of getting hurt or slipping and falling. At your office you think law suit, law suit, law suit... Our Snow Plowing and Ice Management team is ready to make winter stress a thing of the past. Getting rid of the ice on your walkways is a necessity. Our crew will spread salt to make sure the sidewalks are safe for your customers during the winter months. Deicing is a great way to rid your business of ice buildup during the winter season. Clearing snow from your parking lot during those snowy winter months is as important to your business as marketing it. We work with businesses small and large to make sure the snow is removed from their lots. Removing the snow is the first part of the battle against mother nature. The second half of the battle is spreading salt to prevent ice accumulation. Our Ice Management team will handle salting for your business. Snow Shoveling can be a necessary evil when making sure your business is open for business. We can help by shoveling the snow off your front stairs, sidewalks, ramps and walkways keeping your business thriving during the snowy season. After a huge storm the last thing you want to worry about is getting out your winter jacket and find your snow shovel. Instead of worrying about snow removal, why not spend that time with a warm coffee or taking your kids sledding? Let our professional snow management team handle the post storm clean up. Need help maintaining your commercial property during the winter months? Did your last property maintenance company make big promises, but fail to live up to them? Let us help you with properly maintaining all your property during the winter months. Give us a Call for a Free Commercial or Residential Snow Removal Estimate!